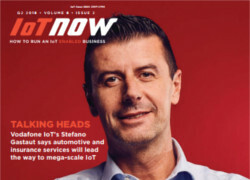 As part of its annual State of Software Monetisation report, Gemalto asked 780 people, including software vendors and enterprise end users, about monetising the Internet of Things (IoT). Here, Ariella Shoham, senior director marketing, Software Monetisation, Gemalto, tells IoT Now exclusively what they found. IoT Now: What was the overall aim of the survey? Can you give a little more detail on the survey respondents, such as their company types, seniority, region, etc.? IoT Now: Were there any surprises in the replies? AS: There is a high level of interest in the IoT, and yet there also appears to be a great deal of confusion around how to approach it, which was one of the survey’s more striking findings. 69% of respondents think that the IoT could provide their organisation with new monetisation opportunities, however the same percentage (69%) say there is a lack of clarity around how they can do it. Four out of five respondents expect their organisations to explore IoT monetisation opportunities within the next three years, while only one in five are currently doing so. IoT Now: Are there any significant regional variations in the responses you received on IoT monetisation. For example, was North America more advanced in its strategies? AS: Seventeen percent of Japanese respondents disagreed that there was a lack of clarity about how organisations can monetise the IoT, much higher than the other regions surveyed (US was 11%; France 10%; DACH and UK were 7% each). At the same time, 28% of Japanese respondents disagreed that the IoT could provide their organisation with new monetisation opportunities – far higher than any other region (France 8%; UK 6%; US 5%, and DACH 4%). About a fifth (21%) of UK ISV respondents have no plans to explore how to further monetise via the IoT. In all, 15% of Japanese ISV respondents said the same. The other regions were much lower: DACH, 8%; U.S. and France, 4% each. And 63% of the DACH ISV respondents said security concerns are preventing further exploration into IoT monetisation opportunities. The other regions were at about 50% each, except Japan – only 26% of Japanese ISVs were worried about IoT security. 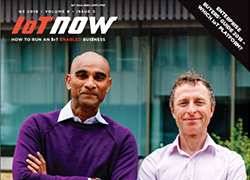 IoT Now: What aspects of security does Gemalto plan to address first in the IoT? And how? AS: Gemalto’s software licensing solutions allow vendors to maximise the value they derive from their products by protecting their intellectual property and enabling them to deploy strategic packaging, control, management, and usage monitoring. Each of these elements also applies to the embedded software that controls connected devices. Just like any other IP, that software must be protected against theft, piracy, reverse-engineering and tampering, and its monetisation potential can be optimised though usage monitoring, license enforcement, and other controls. IoT Now: How can enterprises overcome the perceived IoT skills shortage? AS: Vendors can overcome the skills shortage by looking to the familiar business models that have already been used in the monetisation of traditional software. They can use similar feature-based licensing and entitlement management techniques, shipping the same intelligent devices with different functionality to different customers at varying price points. Since the devices are connected, products can be upgraded remotely, and users can get self-service, which lowers support and fulfilment costs. The author of this blog is Ariella Shoham, senior director marketing, Software Monetisation, Gemalto.